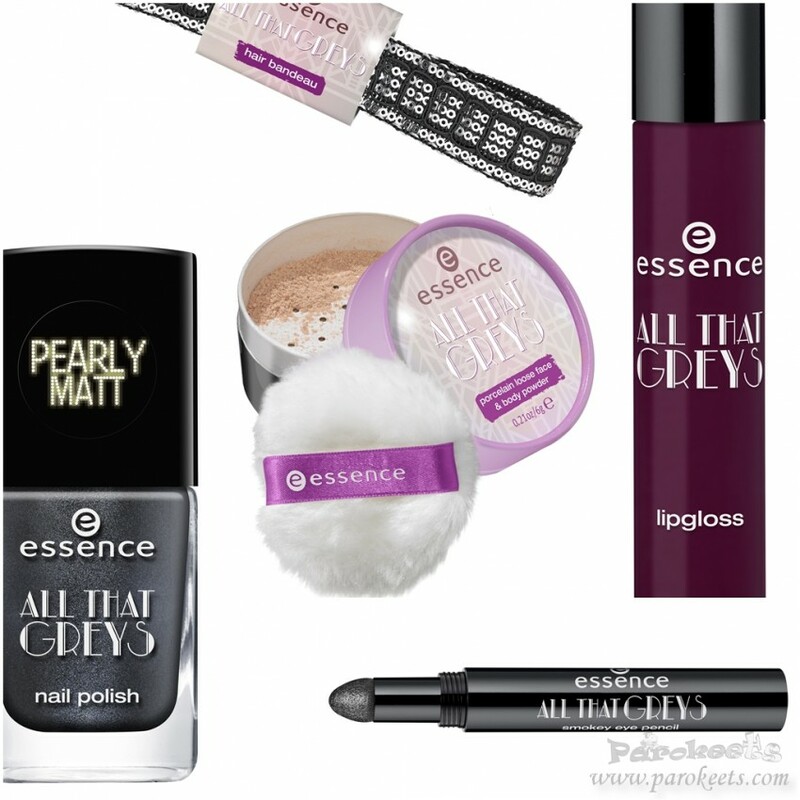 I must admit I feel swamped with Catrice and Essence autumn-winter 2015 limited editions. It is usually not such a huge deal as I skip half of them, but this time, majority hides at least one products I have serious crush on. Which is why I will be combining preview of all the interesting ones with review of the products I already bought and tested. All I can say is OMG! 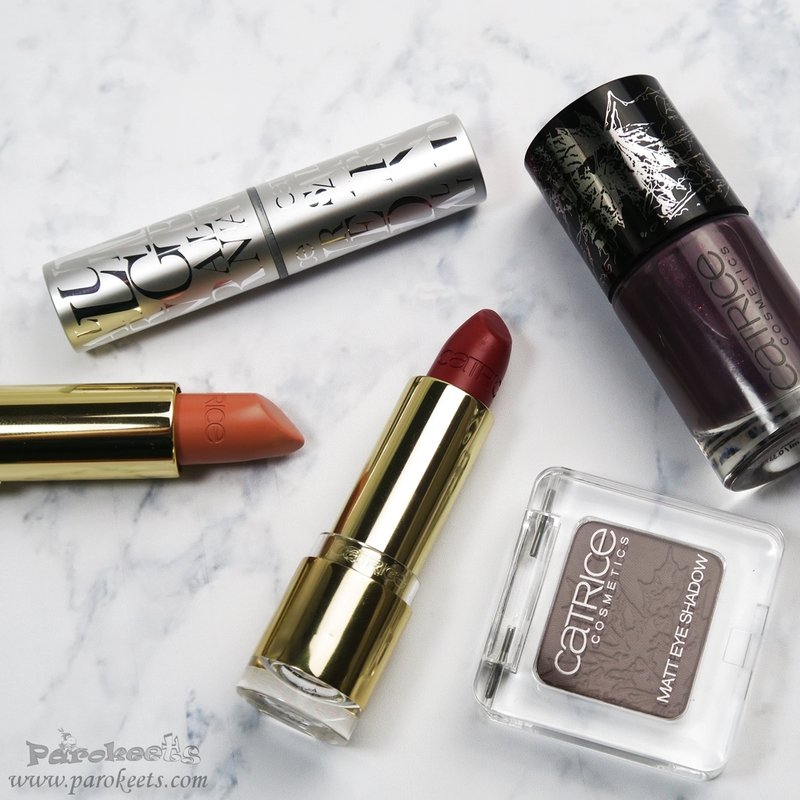 Catrice really nailed it with matt lipsticks in this LE. 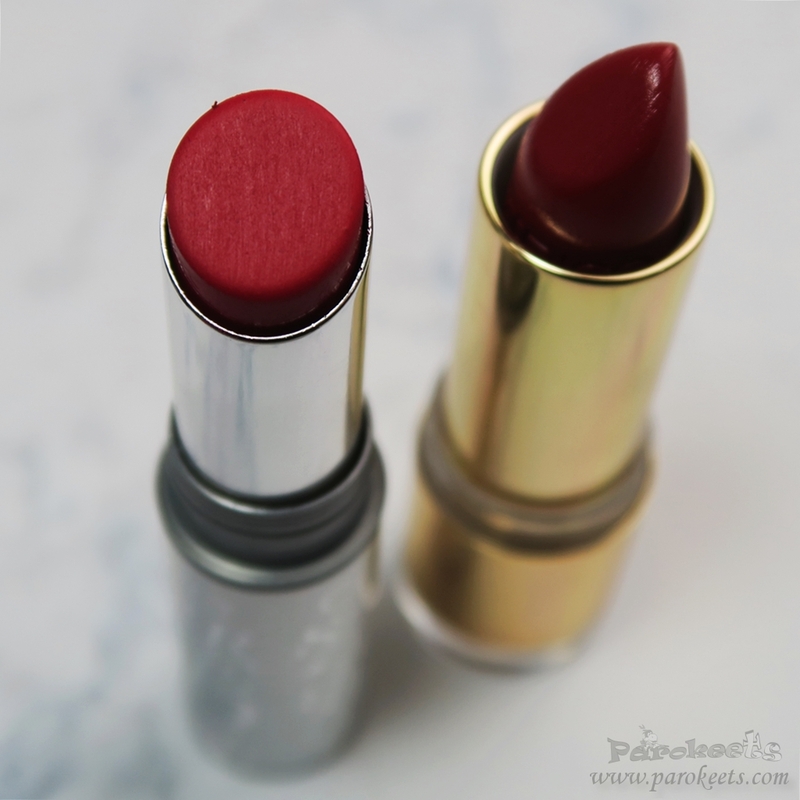 I can’t believe I’m going to say this – but Alluring Reds are probably the least drying (satin) matte lipsticks I have tried so far (no, they’re not moisturising or nourishing). AND they achieved that without compromising staying power. At the end of this post I’ll attach photos after 3+ hour wear, breakfast + coffee + lots of water drinking. Take into account I still have issues with way too light photos, so the colour was much more vibrant in real life. Only downside is, that it transfer slightly under my bottom lip as it is not completely matt. 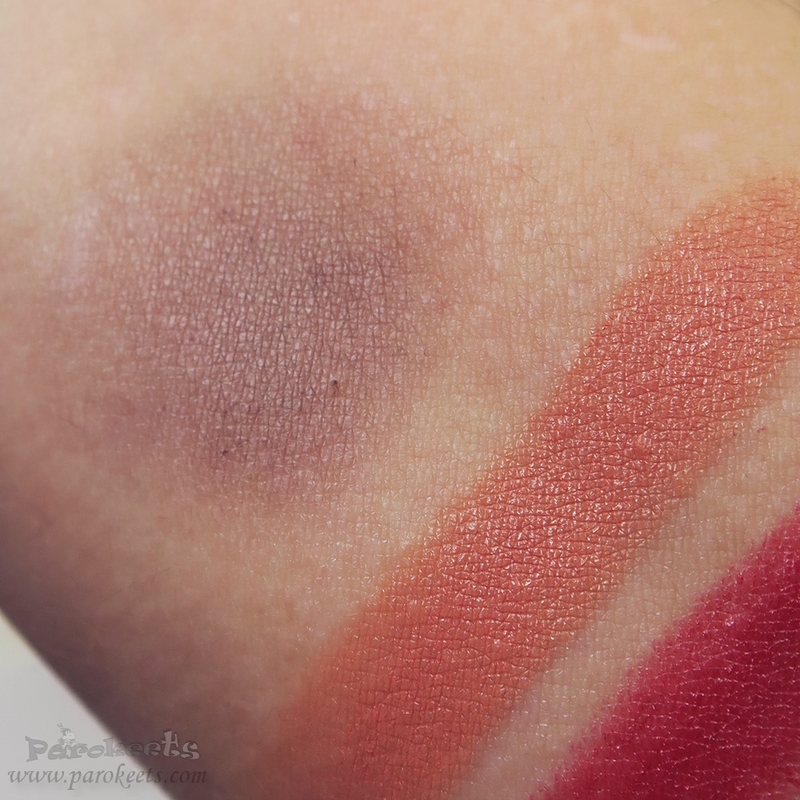 Only downside: all 3 shades are well … red. I do love red lipsticks but as I bought quite a few of them in the last few months, I allowed myself only 1 from this collection. 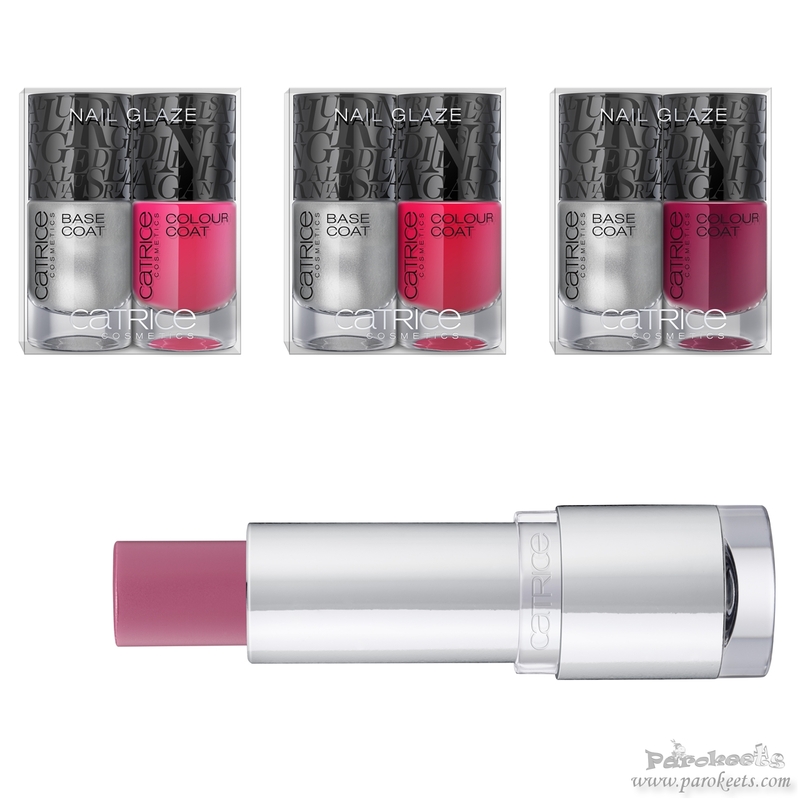 As C01 M-attraction is brighter red and C02 Striking M-attitude cooler but still fairly neutral red I went for the least represented red lip colour in my collection – one that leans to the cherry side: C03 M-attempt To Conquest. Oh, and everybody loves silver packaging with silver print on it. Even cashier asked where did I get it as she need one in her life. That was after I was stopped in the middle of the store to answer few question about the brand and collection lipsticks was from. 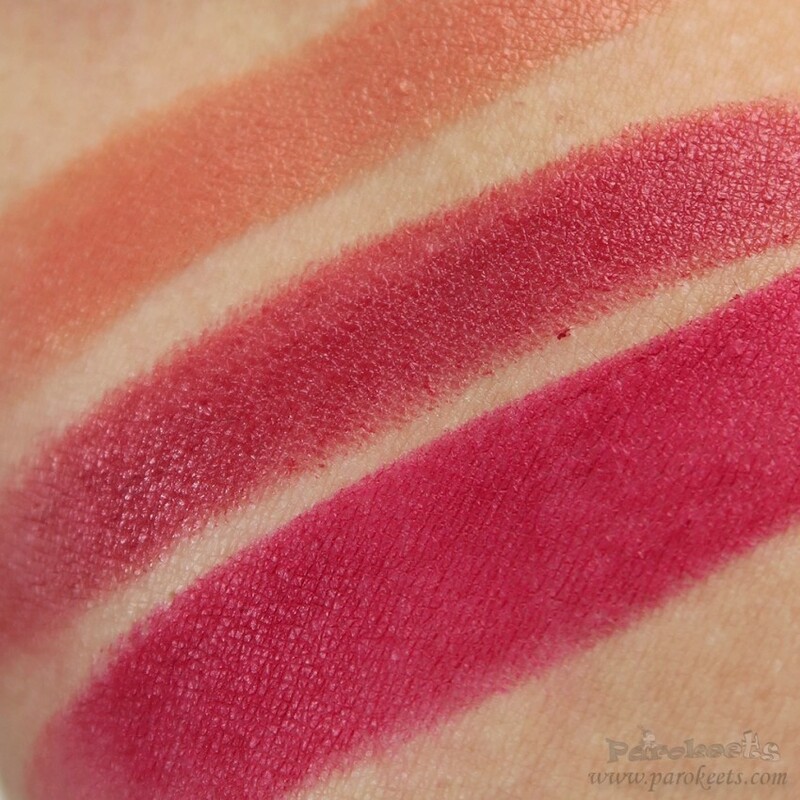 Glosses/liquid lipsticks from this collection also have quite some pigmentation and look interesting. Only thing I didn’t go into were nail polishes. I have sinking feeling that you’ll report back that formula is out of this world, but I’m trying to buy as little as possible in terms of number of products as I am in the middle of organizing pile of products I already own and I’m slowly coming to realisation that I need another drawer. Available in Slovenia at: DM, Beauty World, TUŠ, Ilirija in November. 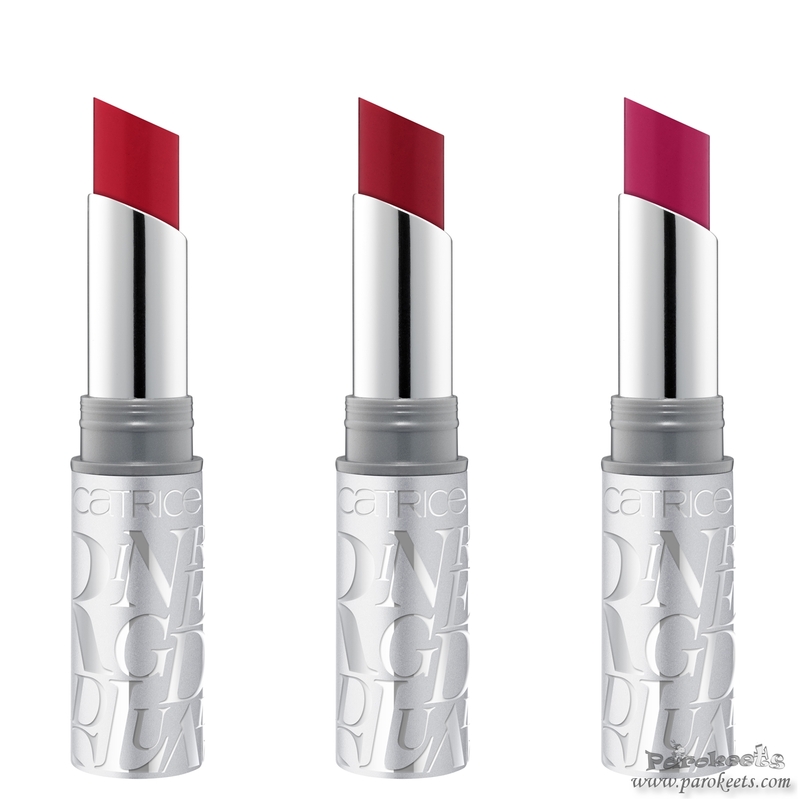 After I blot C03 Treasured Twinkles (dark, between brick and cool red) it gets finish very similar to the previously mentioned Alluring Reds lipsticks. But their lasting power is not as good as with satin matte ones and they have slightly tacky feel to them. Not in a bad way but it is there. They don’t fade from my lips as nicely as Alluring reds one though. I would say that Treasure Trove lippies are more for those that need little bit of moisture in their lipsticks and are willing to sacrifice staying power for it. Thanks to Saša, I got eye shadow and nail polish from FALLosophy LE. 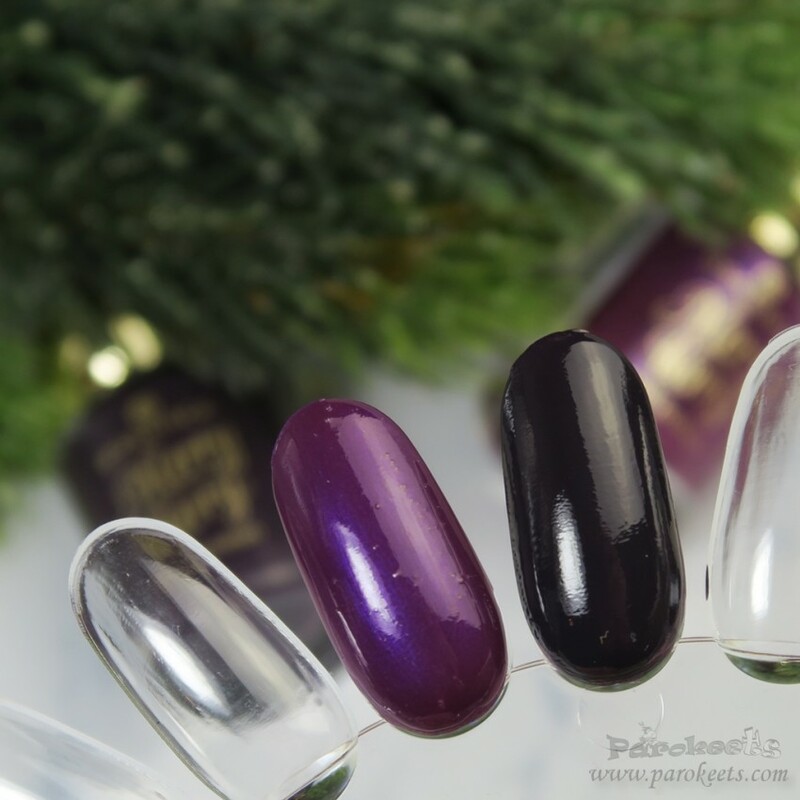 Berrytale nail polish is deep muter and grayed out nail polish that my daughter and “husband” labelled as black. It had lovely shimmer which is not seem most of the time, but gives polish depth when under sunlight or stronger ambient lighting. Mauving Leaves matte eye shadow is decent quality. Not as good as their Velvet Matte range, but it does give you colour and blends nicely. Available in Slovenia at: DM, Muller until middle of November. 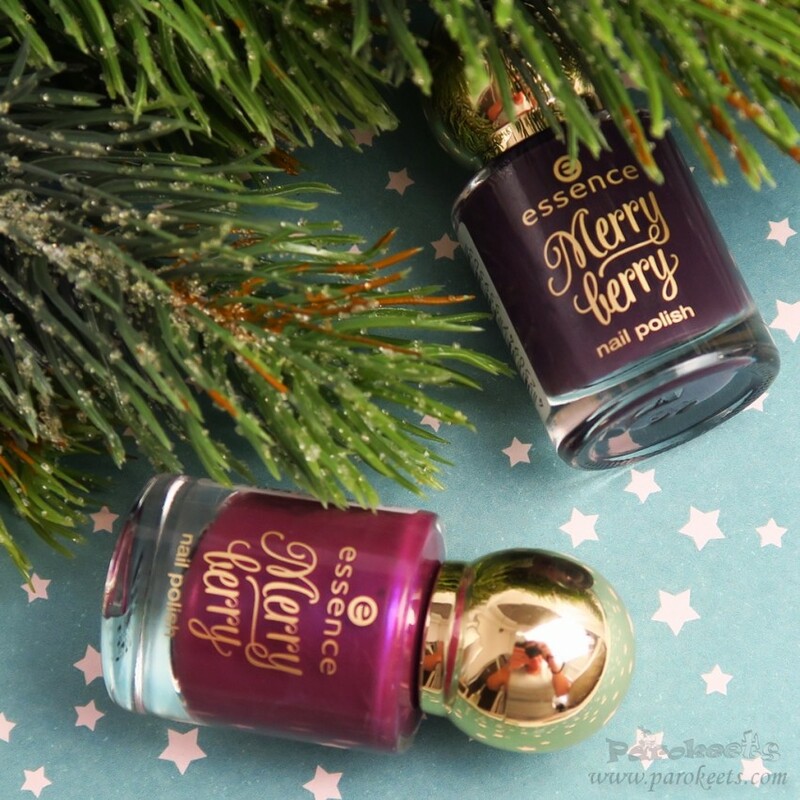 For upcoming festive season, Essence prepared Merry Berry collection with super cute nail polishes. I heard great thing about highlighter and lip sticks, but those nail polishes with gold flakies topper (looked similar to Metal Glam). I bought 01 The masked ball and 02 Purple with purpose nail polishes. They seem to apply well, but I will tell you more next week after I try them out. 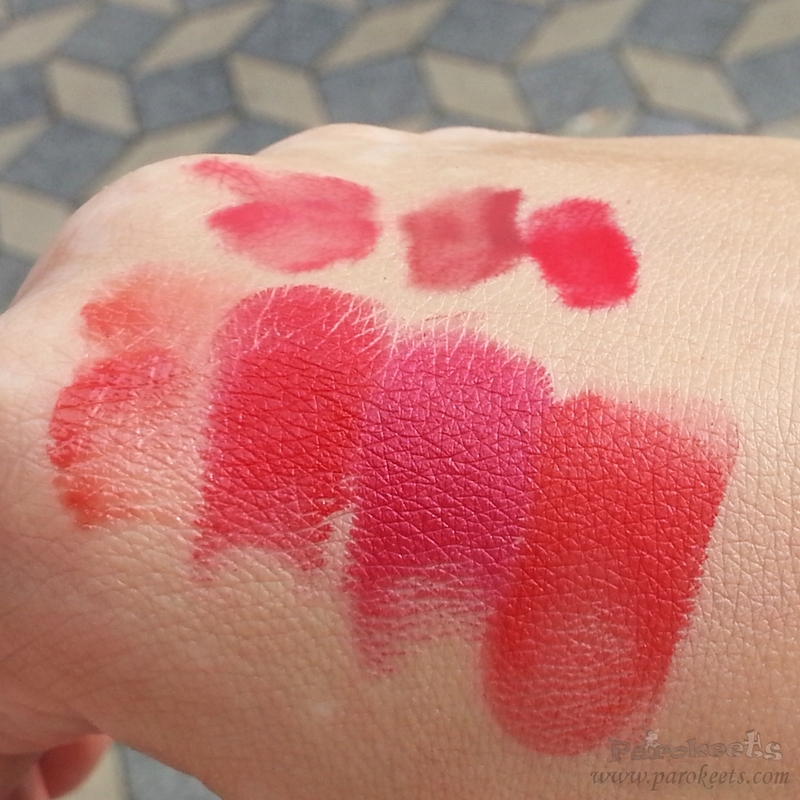 Swatches will also be added in few days time. Available in Slovenia at: DM, Beauty World, TUŠ, E.Leclerc from November through December. Star of the All About Grays collection is eye shadow palette and possibly porcelain loose face & body powder. The collection offers exciting party-proof products that focus on the trendiest colour of 2016: grey. elegant grey shades meet upon rosy-red shades and merge into a perfect union for the retro-glam of the 1920’s. Available in Slovenia at: DM middle of November until middle of December. Every year I look forward to “Christmas” edition hand creams. I love the ingredients and effect they have on my poor hands. Only thing that changes is the scent. Usually I buy half of the sand and I’m set for the whole year. This year I bought only one as the described fragrances were not to my liking. Obviously I was right as Fresh fragrance one has s perfume kind of a scent I really dislike and will be skipping whole collection this year. But I spotted something interesting in one of the upcoming edition winter editions. Will report if it turns as good as it sounds. 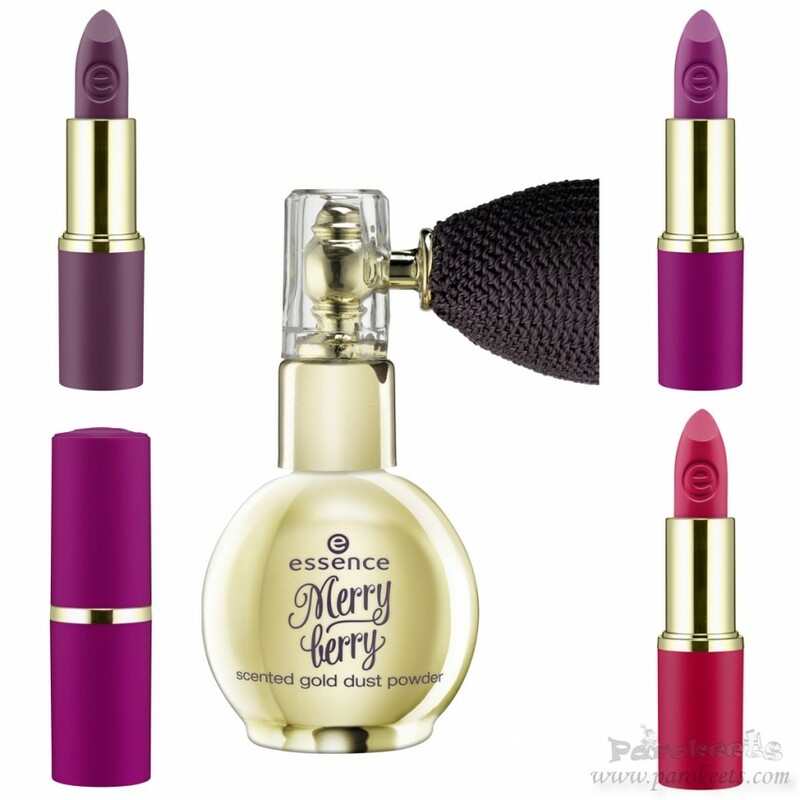 Last but not least in any way is Essence Advent Calendar edition. 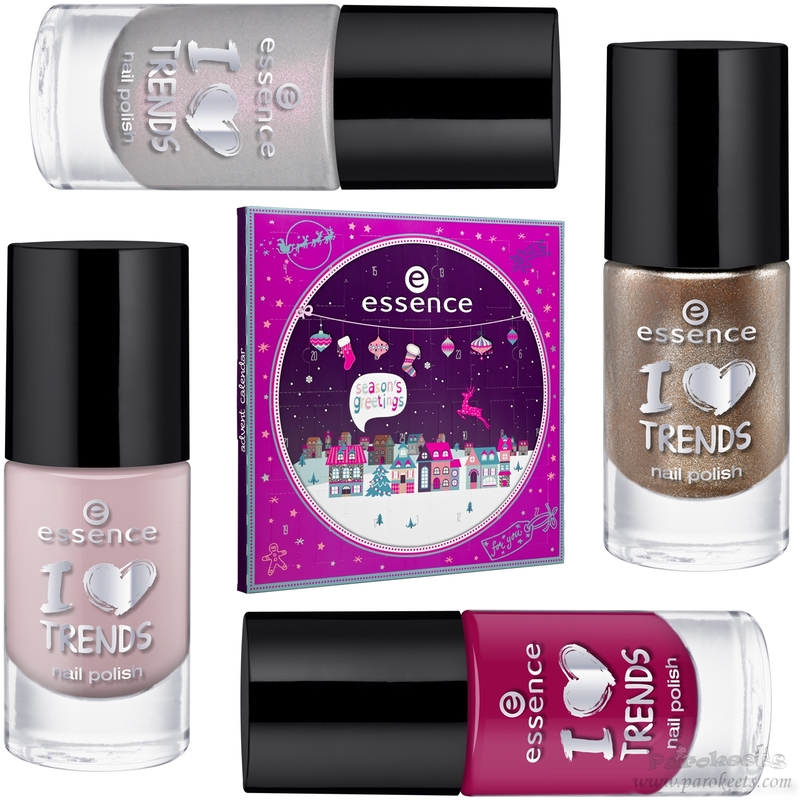 24 day of opening never before seen Essence nail goodies is ahead of you if you decide to splurge roughly 27 EUR on this surprise box. I would love to see Urban Decay’s Naked 3 palette beneath the Christmas tree. Ohh yeah, baby! :D Stop posting about stuff I NEED in my life ;). A VEŠ!? Uf tole je pa težko oibrat amšak nekako me najbolj mika Essence Marry Berry kolekcija, karkoli od njih bi bilo super! Ohhh I’ d love those Merry Berry polishes. Such a cute bottle! Zadnje čase so tudi meni zanimive LE. Metalik zlat liner je že en na wish listi. Pa še kakšne poznejše Essence kolekcije :). Letos si za božič najbolj želim Face Paint knjigo Lise Eldridge :). The cosmetics product that I most want under the Christmas tree the Naked Pallete from Urban Decay!